The close-coupled design is perfect for any type of bathroom be it contemporary or traditional. Our carefully selected range of close coupled toilets include our best value in-house designs as well as an extensive selection from lots of leading brands. 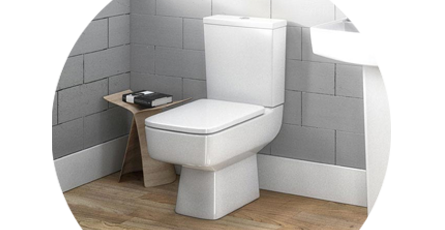 A close coupled toilet is not only stylish but many of those we sell come with a dual flush mechanism which is an excellent water-saving feature. If your working with limited space, make sure to check out the short projection or corner close-coupled toilets to help make the most of the space in a smaller bathroom.